The world of DIY is paved with good intentions and many, if not most, of those intentions create remarkable and useful products. I love the DIYers in the natural hair world, as they create amazing concoctions for the rest of us to try, fall in love with, and rave about. DIYers have such vision, patience, and drive. I love it! 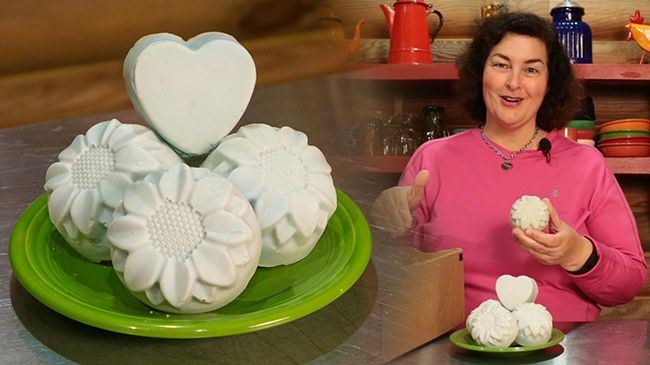 One such popular DIY recipe is soap making and it is used for practical purposes all the way to gift giving. If you are a novice to DIY here is a lesson on soap making with coconut. Soap is a combination of animal fat or plant oil and a caustic soda. When dissolved in water it breaks down dirt and washes it away from surfaces. No one is actually sure of the origin of the word “soap” and the first chemical saponification, but according to Dr. Ronni Wolf, soap making became an art during the time of Phoenicians or 600 B.C. and went through significant advancement in the Mediterranean countries where olive oil was boiled with the alkali ashes. The two major raw materials required to make soap are fat and alkali. The most commonly used alkali used today is sodium hydroxide. Another popular one is potassium hydroxide. Fat used in the past was animal fat whereas modern soap makers use fat that has been processed into fatty acids. Add a few additives to enhance color, texture, and scent and you have today’s soap. No matter the method or the ingredients, make sure you accurately weigh the ingredients, use a proper technique, and stick to the formula in the recipe. Despite not being rocket science, respect for the craft and recipe is necessary as you will be working with chemicals, hot temperatures (for some methods), and ingredients that can be harmful if ingested or make contact with your skin, namely the lye. Always use caution and never rush. Why coconut oil soap is a good soap for curlies? Many curlies love coconut oil. It is rich in vitamins and nutrients and can nourish dry strands with ease. It is great for sealing, pre-pooing, detangling, fighting frizz, and moisturizing. If wanting to simply use only coconut oil in your soap, then you can enlist superfatting and to combat the drying effect of the coconut oil. Superfatting is adding extra oil to the recipe that is in excess of what the lye can bind to so that extra oil is not converted. Adding 20% more coconut oil than the lye allows your soap to turn into a luxurious body bar. Note, this can't be used with most vegetable oils as they can go rancid but coconut oil has a high shelf life, which makes it a good candidate for superfatting. Now, let me address the confusion some may be having over coconut oil soap being used on hair. Yes, it can and yes many have tried it and loved it because it really is just like a shampoo bar but can be used all over your body. If you are looking for an all-over body bar for curlies, then coconut oil soap is the one to get. I know I am not the only one who sees head-to-toe body bars, but for curlies we have to enlisted ingredients complementary to our texture and this recipe is it!